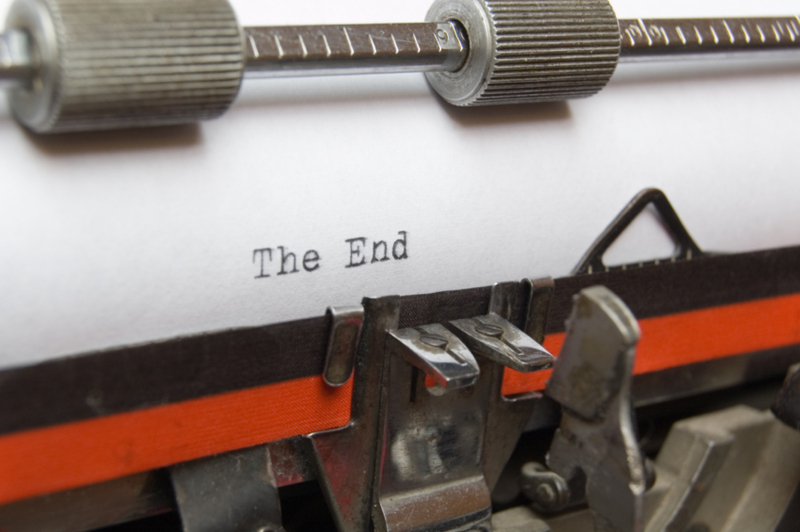 Like most authors, I really, really want my book made into a movie, and I also believe, like most authors, that I have a unique story that lends itself to a screenplay. The question is how do I get my book in the hands of the perfect Hollywood producer who will fall in love with my story? 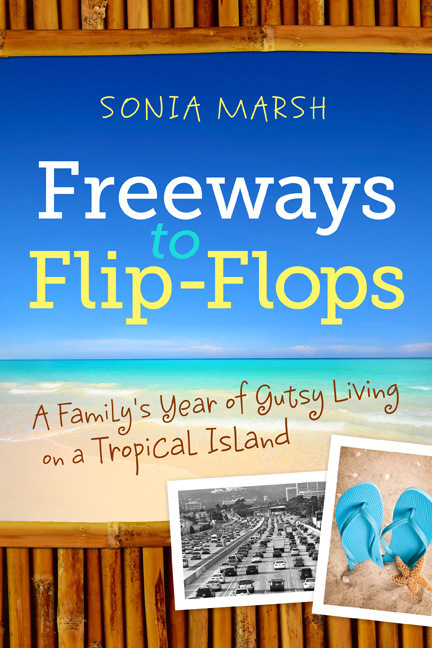 First, let me tell you what happened to me on the day I launched my first book: Freeways to Flip-Flops: A Family’s Year of gutsy Living on a Tropical Island. I received a phone call from an associate producer of a new TV talk show scheduled to air in the Fall. They found me online by Googling keywords like family/travel/adventure/gutsy. Marianne, the associate producer prepped me for the show, and although things were changed at the last minute, she helped me develop a pitch and suggested I contact (GMA) Good Morning America. 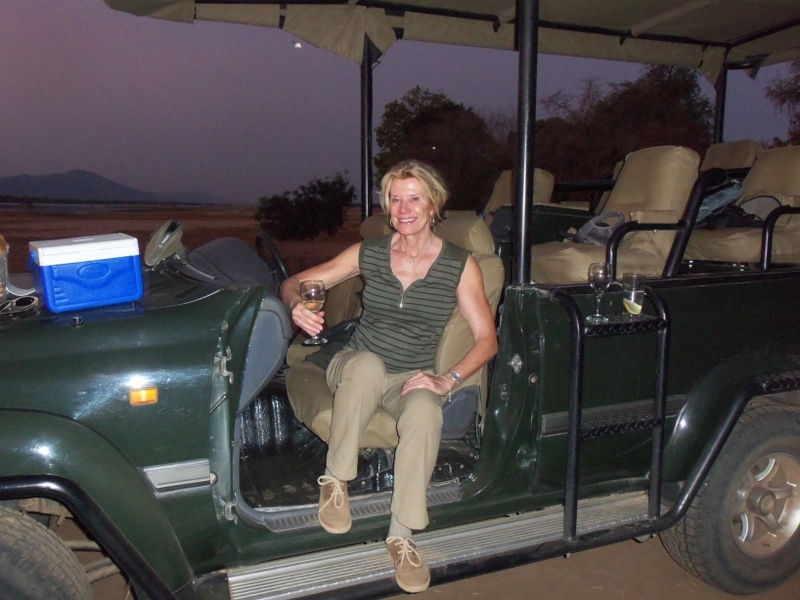 Here was the pitch she developed for me: “I took my affluent teenagers to live in the jungle.” I followed her advice but had no luck with (GMA). Guaranteeing that my material will be reviewed by producers without the need of an agent. All I have to do is purchase a set of books and videos (offered at a one-time special low fee) that will help me prepare a 3-5 page in depth description and analysis of my book and capture the attention of real producers. Make things happen yourself through networking at conferences, asking people you meet. I am curious what Warren means in this last statement. Sounds interesting. Warren Adler, best known for “The War of the Roses” garnered outstanding box office and critical success with Golden Globe, BAFTA and multiple award nominations internationally, Adler went on to sell movie and film rights for 12 books, all noted for his character driven and masterful storytelling. Even in this article, they stress the importance of contacts. (Please note, I’m an indie author who is passionate about marketing and sharing with other indie authors on my blog. 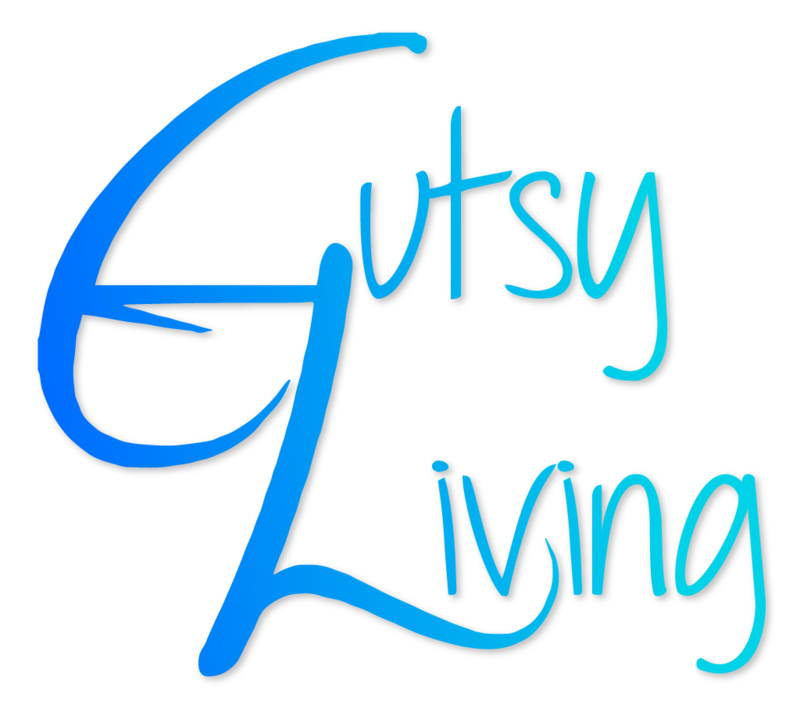 Please join our Gutsy Indie Publishers Facebook Group where we welcome you to ask questions. I hope you join me in Making things happen yourself through networking at conferences, and asking people you meet. Filed Under: Book Promotion, People, Writing & Work Tagged With: How Do I get My Book Made into a Movie? I remember feeling not only that your memoir read like a movie but that I was a part of that movie when I read it! I have in doubt you will make it happen. I’m excited to see how it will unfold. Good luck! Kathy, I was going to mention you stating that in my post. You reinforced my desire to have my memoir made to movie. Thanks for your constant help and support. Sonia Marsh recently posted..How Do I get My Book Made into a Movie? 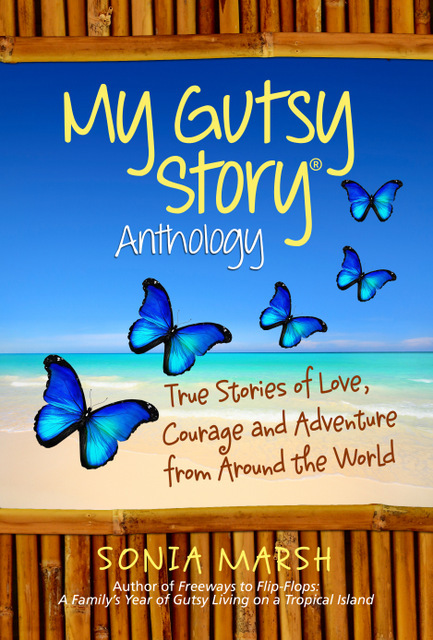 I’ve written two memoirs, I ONLY CUSS WHEN I’M SAILING, and MY NEXT HUSBAND WILL BE NORMAL – A ST. JOHN ADVENTURE. I’m writing a screenplay combining the stories. I have friends with friends in Hollywood, including those involved in “the industry.” The process is interesting, even if nothing ultimately comes of the exercise. Rae, You are set if you have the contacts already. Care to share? 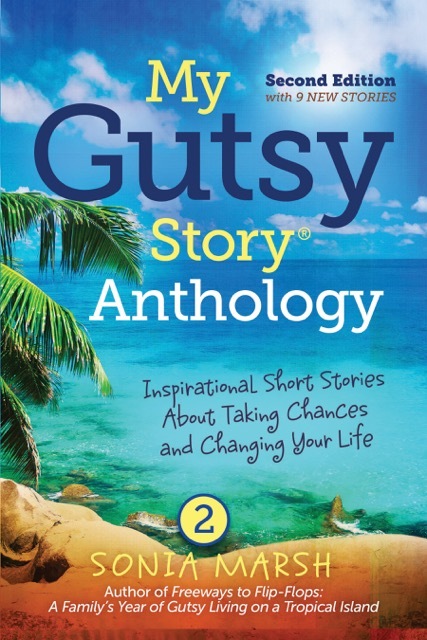 🙂 Thanks and please send me your “My Gutsy Story” which I post on my site. BTW I love your titles. It seems all of this is quite daunting and discouraging, really. Well it’s tough due to everyone trying to get their foot in the door. Plus it’s always about making money for the industry, so I believe we have to keep going and making contacts. Everything in life takes effort and passion to make it happen. Thanks for your comment. Bex, we need to help one another. I’m sure you have made helpful contacts through all your travels. Well done and I love your new website. If anyone can get it done, YOU can Sonia! Sonia, I totally believe your story is movie-worthy and that you can do this. Shucks, if I lived as close to Hollywood, big producers, and other power brokers as you do, I might be stalking a few until I gained an audience. You mention the real purpose of the webinars you took — to squeeze money out of those who attend. I have yet to participate in one on ANY topic, free OR paid, that did have that agenda. That’s not to say I didn’t learn anything. But I’ve become super choosy about what I spend my precious time watching or listening to. I know they are all a sales pitch, so I’m not complaining, just reinforcing your message that the primary purpose for offering them is to sell something. Be VERY wary about signing up for those services. All those testimonials? Some are legit. Some aren’t. Hard to tell the difference. Few people who haven’t been directly involved in the personal promotion game have any idea the degree of puff writing and hype involved. Sonia’s message about false claims is worth heeding, for sure. Thanks Sonia for reporting on the Emperor’s wardrobe. I’m so sorry it took me forever to get back to you. I so appreciate your long comment although I think there was a typo in what you said. And yes, I agree with you that NAMW is refreshing and different. It’s like being with ONE BIG FAMILY. Oops. I just realized that the NAMW monthly public teleseminars are an exception to the rule I just cited. They really do offer good value. Sometimes a class or special offer is featured (not always), but you’ll always learn something even if you aren’t interested in the offer. Great blog entry Sonia. Thank you for continuing to put out such informative writing for all of our benefit. Great to “see” you and read your comment. I was thinking about the work I have done in my book is really for the nations to know. My book is ” Jesus is mine” in which we as little kids have obtained so powerful miracles by our prayerful life and best trainer mother Bashir Catherine’s guidance. She was a mother of 8 sons and 3 daughters who all love God and some are working in his Kingdom. The series on my book can become a guideline for mothers. Our 5 dead were raised when we were little kids in our country. In St Francis Hospital USA my mother received a new heart from God on the surgery table and doctors who were hurrying for her surgery said to my brother, her heart is as young as yours. My brother now late Roger was raised from death in Stony brook Hospital New York when my sister was informed about his death and to take his dead body, we prayed and he rose back after 6 minutes of death. He died of brain stroke, which was amazing and impossible for doctors. I pray on people and they get healed of cancers, kidney failures and demonic possessions. God took seven people to heaven. They were very poor people of my country. They talked to God and saw those houses which they say are not just small houses but are palaces. One girl met her niece in heaven who died in the age of 1 year but now was a pretty young girl. In my book there are almost 40,000 characters because I myself made all testimonies short because my aim was to let people know our God. If you like my work it can be easily taken to 60.000 words as I have perceived from e-mail sent to me from outskirts. Few publishers are ready to publish my book including Out skirts which is amazing news for me but I don’t have finances for it. I migrated with my children here in NY only 6 months ago. Still praying and waiting for God to help me. The testimonies which I have written are only those which I could remember otherwise his great works are part of my everyday life. On face book I prayed for David Taiwo Hephzib who took the baptism of Holy Spirit in tongues and had a miraculous healing by saying a powerful prayer which God has given me, I copy pasted him and he was healed of swelling on his face and body. God has blessed me, I still don’t have a platform to work for the people of USA. I have written a book called “Naked in the Middle of A Tornado”: The True Story of One Family’s Inspiring Fight Against Polycystic Kidney Disease (PKD). I guess I now have to search the old rolodex for the right contact!